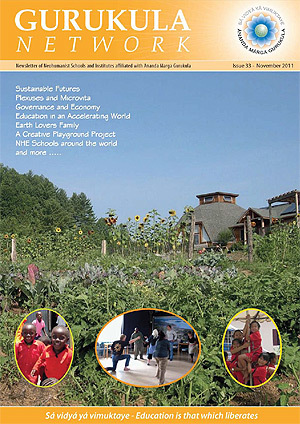 Published since 1995, Gurukula Network is the newsletter and journal of Neohumanist Schools and Institutes affiliated with Ananda Marga Gurukula. Two yearly issues, published January and May, serve as a means of communication for Neohumanist projects around the world. In this archive of current and past issues you will find a treasure trove of articles and news related to every aspect of Neohuamnist Education from Kindergarten through university level. Gurukula Network is open to any and all NHE related projects. It is the spirit of Gurukula Network to encourage a free sharing of ideas and to stimulate discussion on educational and global issues facing our world. All articles express the views of the author, and not necessarily those of AMGK. 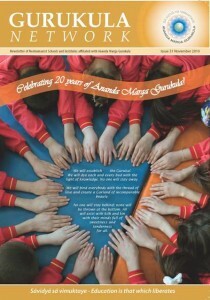 Gurukula Network is published by the Ananda Marga Gurukula Global Liaison Office.